This post is supported by affiliate links. 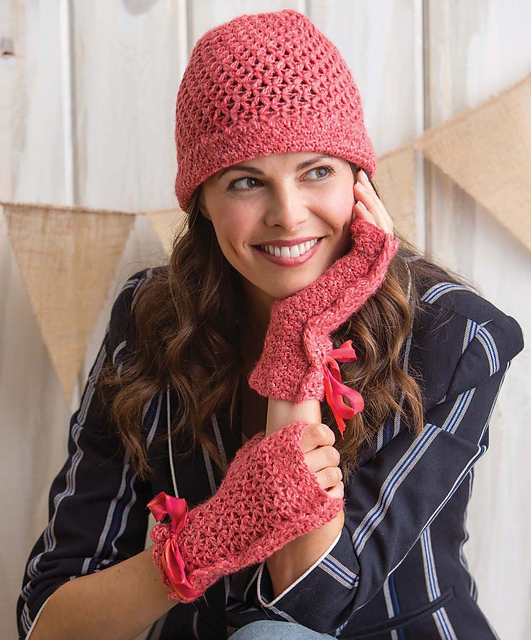 Quick Crocheted Accessories by Sharon Zientara from Interweave is great for those of us whose stash is more likely to yield orphan balls then sweater quantities. Use the one skein projects to quickly make a present, or play with the complex stitch patterns or color work in the two and three skein projects. Patterns include hats, cowls, shawls and shawlettes, slippers, scarves, wraps, mitts, and a brooch. 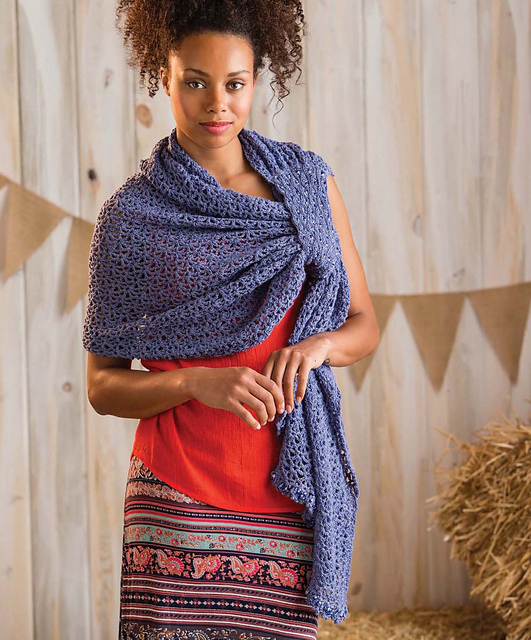 While the patterns are made prettier by the yarn choice, they would look good in other yarns. Crocheting these items wouldn't be difficult, but isn't plain single crochet for miles either. Exact amounts of yarn used is not given, but some items could probably be made from less then a full ball. There are projects that combine colors for even more crochet fun. Would you like to see some of my favorites? This piece from the cover would be fun to crochet, and fun to wear. 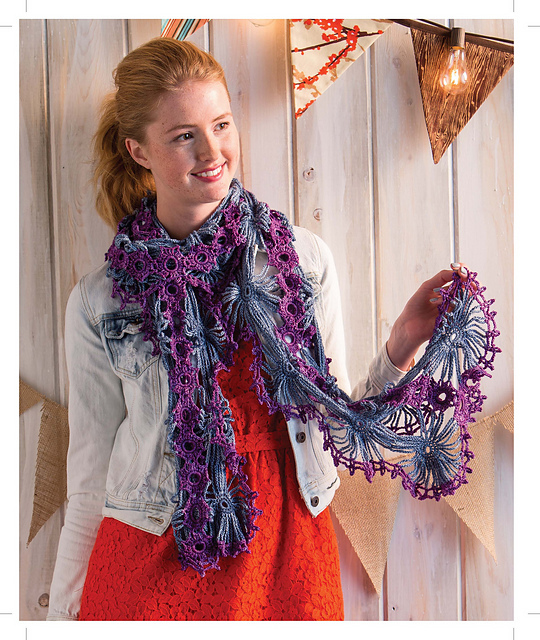 The stitch pattern would be fun to see in a 'plain' scarf, though the loop adds many possibilities for styling. This is a light and airy piece. Inspired by a Japanese stitch pattern, it would look great in any flower color. These socks are not just crocheted, they are tunisian crocheted. Must try this! They would make for a very thick cushy fabric, great for winter and fall. The spiral construction means a regular crochet hook is all you need. I love this stitch pattern, especially in the hat. But the seaming on the mittens bugs me. I wouldn't like that extra fabric on my hands. Course, I'm not a ribbon and bow person either. Please check out the other patterns on Quick Crocheted Accessories Ravelry page. Which one would you crochet first? Amazon has a kindle version, and it is included in the Kindle Unlimited program. Thanks to Sharon Zientara for the giveaway, and Marly Bird for hosting it. You can read more about the book and Sharon Zientara at Marly Bird's blog.